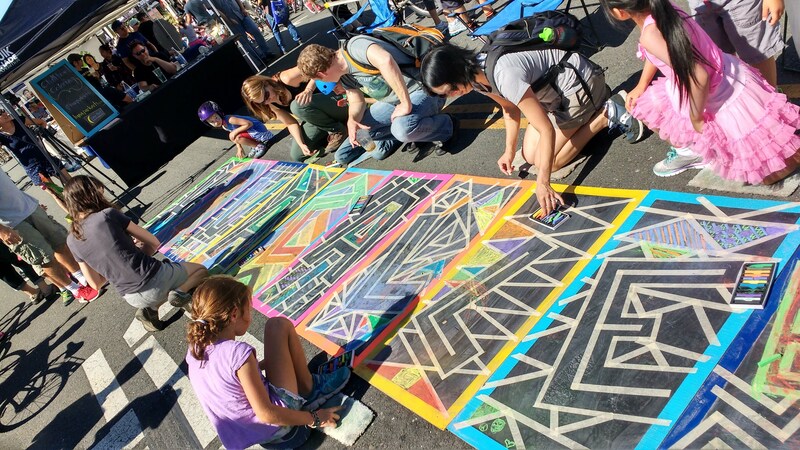 On Sunday, September 18, 2016 (the day after the 9th annual Luna Park Chalk Art Festival), the outreach team participated in VivaCalleSJ, the city's Open Streets festival. At the Japantown activity hub, we created a masking tape mural on our outreach chalkboards. 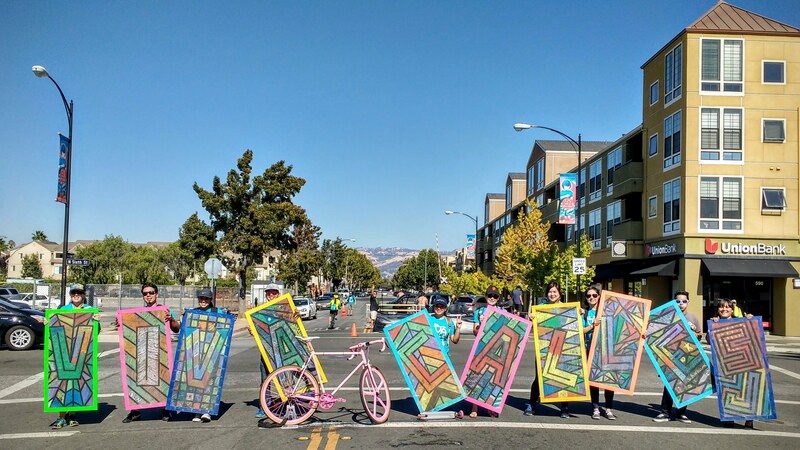 The tape pattern spelled out VivaCalleSJ and event participants were invited to create by drawing or coloring sections of the mural. At the end of the event, the tape was pulled up, revealing the final project created by the community!